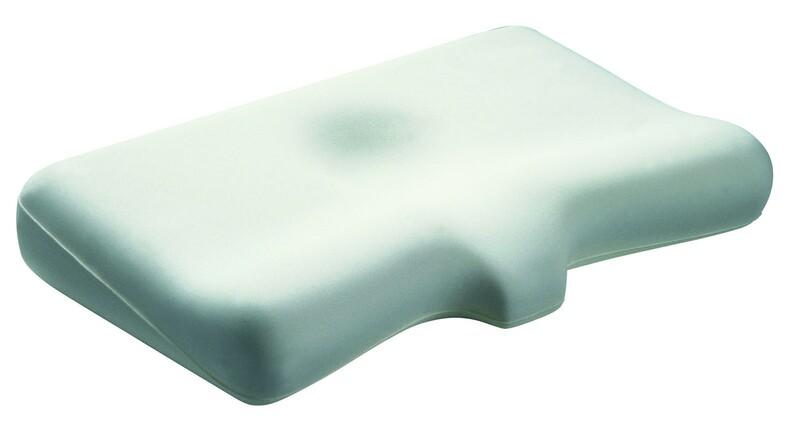 Provides perfect posture for the relief of neck pain sufferers when sleeping on their back. This unique pillow was designed by a leading French spine specialist. The cervical extension provides necessary support to the sensitive upper vertebrae. It is shaped to ensure firm but comfortable positioning of the head and neck, discouraging movement that can aggravate neck pain. This pillow has been a sensation in Europe where over half a million are now in use. It is not recommended for side sleepers.